brycie came to visit yesterday and i put her to work. we were a couple of old ladies who stayed up late watching (you can go ahead and say it with me) friday night lights and oprah and crocheted until two. you know, a dream night for 80 year olds who like watching high school football. i have few more colors that i am trying to crank out and i want to dye some yarn because i do not have a happy place with the green, pink or yellow that are available to me. im going to a yarn shop tomorrow to seek out other venues. so, if you have ordered one from me, these are your color options so far and i can do long, short, skinny, fat, multiple stripes, no stripes, solids, etc. just let me know what you want. i know the black and gray is a crowd pleaser, so i am always happy to do that one too. and of course acl. its a classic. it started this whole shebang. and when i can come up with a good name for these then i will put it out on etsy. hope everyone had a great weekend and i promise more exciting posts that dont deal with yarn, in the near future. I want one too! Please e-mail me the details when you have a chance. Has Amy told you her sister opened up a yarn store in waco - maybe she could hook you up. They are so great!!! Love these!!! What are your prices!? Super cute! 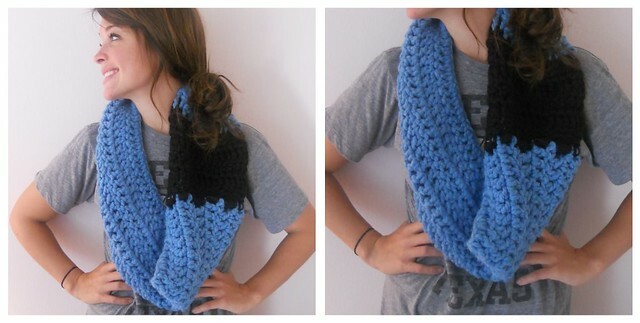 Aren't these kind of like ifinity scarves?